The Centre City Plan is a strategy document that provides the long-term vision, strategy, and implementation actions for the Centre City. Help us refresh the 2007 plan! The What We Heard report from 2018 public engagement is now available. Click here to view the report. Thank you to everyone who has participated to date. We received hundreds of online comments which will help us understand the values, aspirations and concerns in relation to the Centre City. From August to October, we completed three public workshops, seven pop-up events and received more online input. At each stage, we have collected hundreds of ideas as well as important feedback on The Plan's vision and principles. The project team is now summarizing and reviewing your input. The City will be reporting back to update you on how your feedback has helped inform the Plan. Join the mailing list to stay informed. Information will also be posted to this web page once available. Be sure to sign up for the email list at the top of the page to stay involved. hold internal focus groups to refine ideas. The input that we have collected will be balanced with a technical understanding of the opportunities and constraints provided in the focus groups to formalize the recommended updates to the 2007 Centre City Plan. We are committed to further public engagement to review the draft recommendations and refreshed Plan in 2019. Remember to join the mailing list to stay informed. 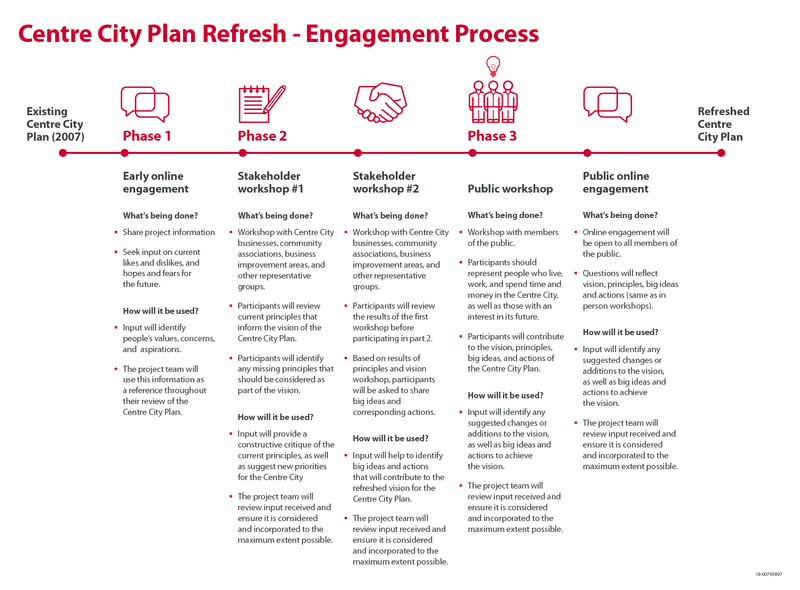 In July 2018 the Centre City Plan project team embarked on a Strategic Foresight process called The Future of Calgary’s Centre City: 2038 Through a Strategic Foresight Lens. The goal was to collaborate with stakeholders who have an interest in the Centre City and explore possible futures looking ahead 20 years. support a collaborative environment to create a more resilient Centre City. When the Centre City thrives, so does the rest of the city. The 2007 Centre City Plan is a coordinated document that pulls together the vision for the Centre City along with strategies and actions relating to land use planning, economic, cultural, social development, and governance. An update to the Centre City Plan is an opportunity to refocus Calgary’s energy and reinvigorate a commitment to success in the Centre City. The intent of this project is to refresh the current (2007) plan. The Centre City Plan provides the vision for the area, guides development in the Downtown Core, and identifies short, medium and long-term actions designed to implement the vision. eliminate overlap with other documents. The current Centre City Plan outlines a vision for Calgary’s Centre City to be a livable, caring and thriving place that is a premier urban living environment; a national and global centre of business; a centre for arts, culture, recreation, tourism and entertainment; and that welcomes people, in all their diversity to live, work and visit. 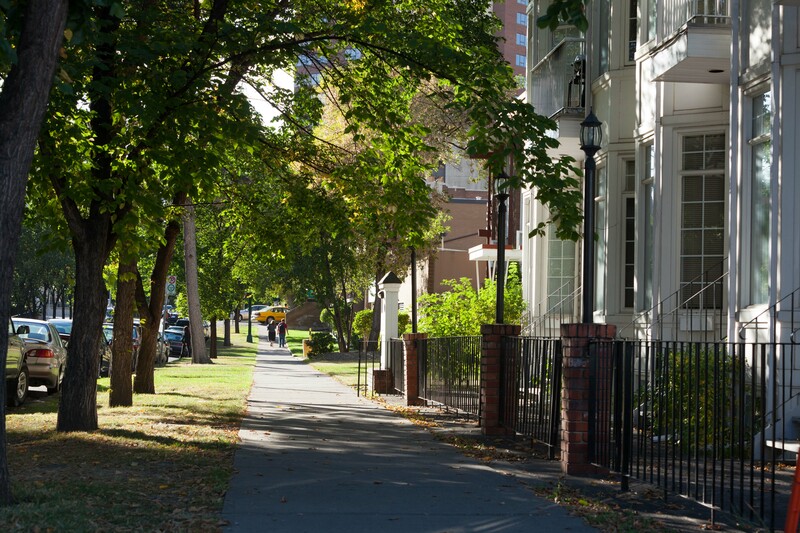 Residents feel connected to their neighbourhoods because the Centre City is a high-quality residential environment with a wide range of housing options, excellent public areas, and variety of services and amenities. •The number of residents living in the Centre City is 43,500, an increase of 31% from 2007 to 2018. •The number of residential units in the Centre City as of 2018 is 32,300, an increase of 46% from 2007 to 2018. •From 2006 to 2016 the number of children under the age of 15 living in the Centre City increased by 131%. Pedestrians and cyclists are prioritized over vehicles because they add vitality to the public realm and feed into the transit system to create a vibrant Centre City. A great urban environment is designed for the people who use it. A desirable Centre City is created by integrating well designed public & private spaces such as streets, buildings, plazas and parks. •Construction activity in the Centre City decreased in value by 75% from 2007 to 2017. Because there are fewer opportunities to improve the public realm, active applications must be held to a high standard of design. •The Urban Design Review Panel has reviewed 143 major redevelopment applications in the Centre City since 2007. 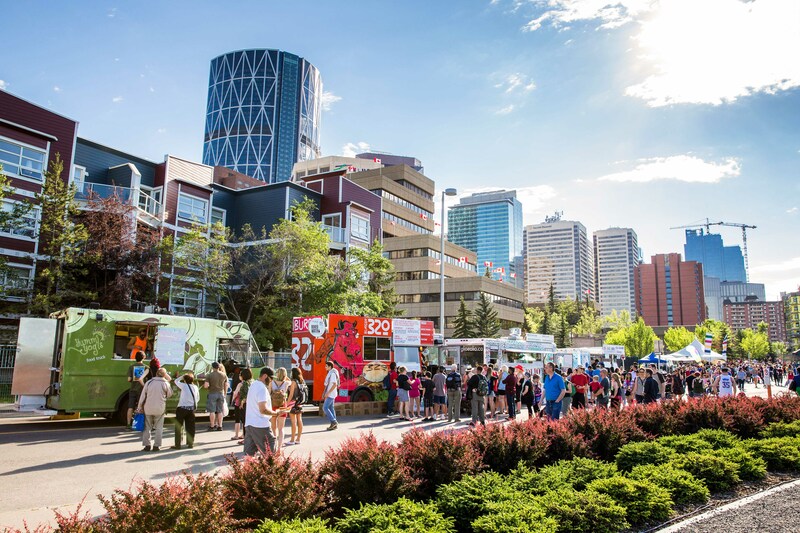 The Centre City is home to many of Calgary’s major cultural institutions, historic resources and festivals, as well as a growing number of smaller and alternative cultural facilities and events. The Centre City nurtures an environment where achievements in diverse areas of culture, information and communications can be showcased and celebrated. •As of 2015 the Centre City was home to 11 museums, libraries and art galleries, 20 public cultural venues such as temples and community centres, and 136 private businesses in the fields of art, culture, design, production and performance. 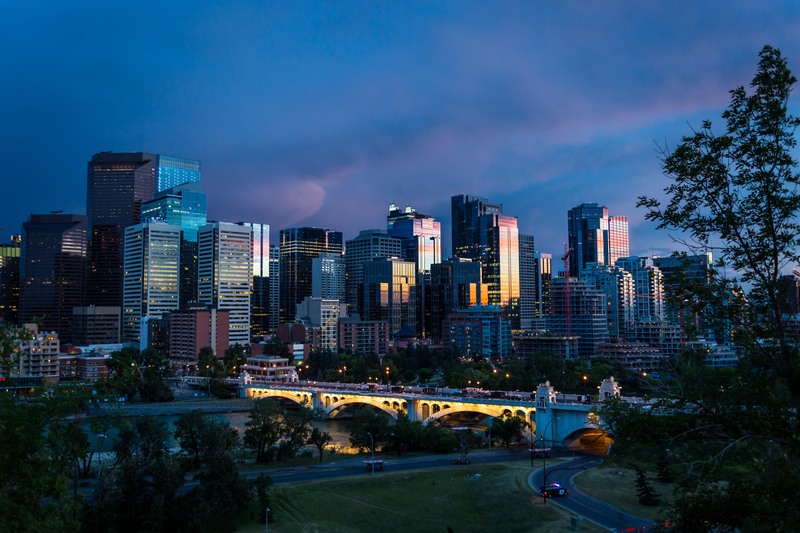 •There are currently 267 evaluated historic resources in the Centre City providing opportunities for Calgarians to connect with the city’s history. 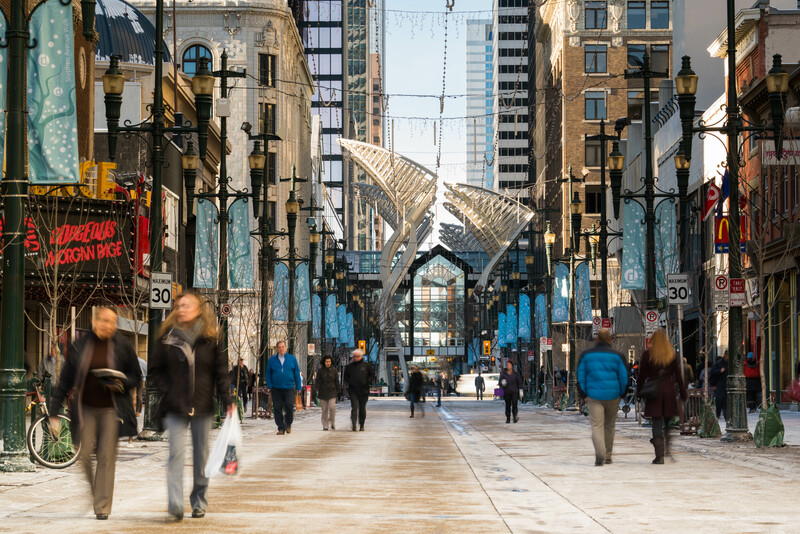 The Centre City is economic heart of Calgary. It has the infrastructure, services and amenities that make it the location of choice for both small and large businesses operating on the local, national and international stage. •As of 2018, there are an estimated 158,500 jobs in the Centre City. Because downtown office jobs were hit hard by the 2008 financial crisis and 2014 recession, The City estimates that there was no significant increase in jobs between 2006 and 2018. •The total amount of commercial floor space in the Centre City is 48.6 million square feet, a 31% increase from 2007 to 2018. •The amount of occupied commercial floor space is 35.4 million square feet, which has not significantly changed from 2007 to 2018. •The amount of vacant floor space has increased from 0.6 million square feet in 2007 to 13.2 million square feet in 2018, for an overall vacancy rate of 27%. The Centre City is a place where diversity is considered a strength and where people feel safe and secure. The Centre City is where the necessary support and services can be found to ensure a safe environment and that citizens have access to the services they need to meet their basic needs of health, shelter and safety. •There are 2,900 people experiencing homelessness in Calgary in 2018, a decrease of 19% from 2008. •As of 2018 there are 35 different community services located in the Centre City available for low-income and vulnerable individuals. The Centre City is the liveliest area of the city, a place where there is always activity to engage Calgarians and visitors. This environment will be achieved through strategies such as public activities and events, public art, architecture, retail services, lighting, landscaping, signage and other techniques that contribute to a vital urban environment. 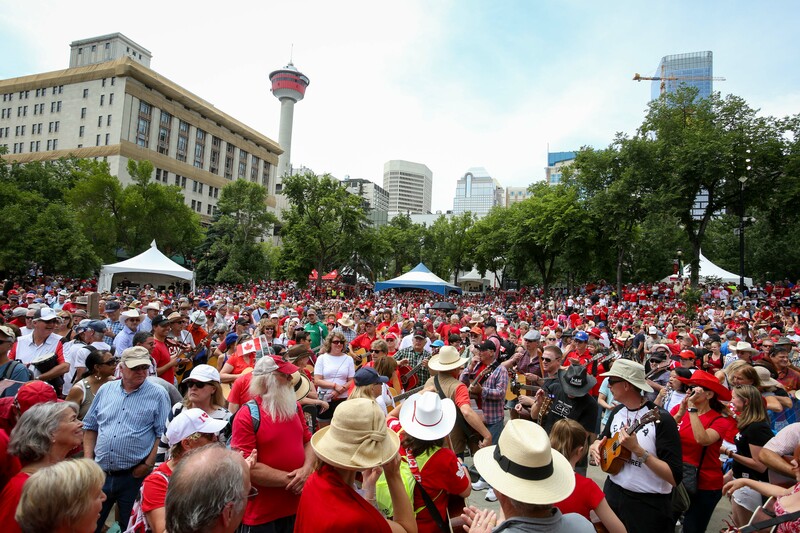 •The Centre City is home to over 30 annual festivals and events, as well as being the focal point for larger city-wide celebrations like the Calgary Stampede. •The Centre City is home to 150 events and festivals per year on average, including larger city-wide celebrations like the Calgary Stampede. The Centre City is a place that allows both the natural and built environments to co-exist in an ecologically sound and sustainable way. This is promoted in the Centre City by embracing and actively promoting new technologies and ideas that either make a positive contribution to or reducing the human impact on the natural environment. 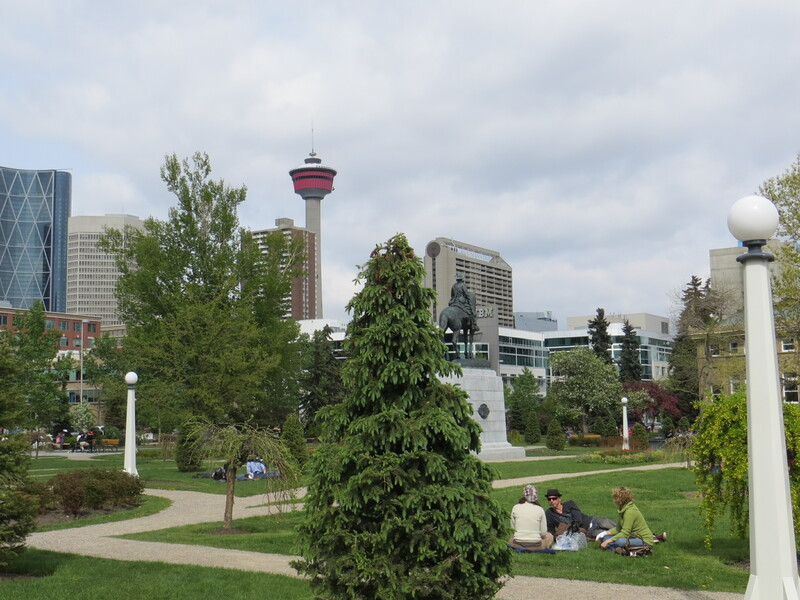 •There are 775,000 square metres of public parks and vegetated open space in the Centre City, or approximately 17.8 square metres per resident. •Overall, buildings in the Centre City use 2.58 billion kWh of energy for electricity and heating, which releases over 1.15 million tons of carbon dioxide into the atmosphere. 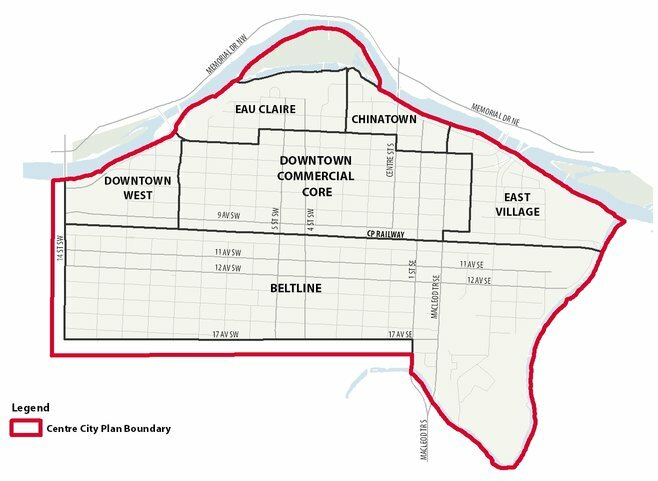 This map show the communities that make up the Centre City: Eau Claire, Downtown West, Beltline, East Village, Chinatown, and the Downtown Commercial Core. The Centre City Plan is not meant to replace any local area plan, but to provide higher-level vision and guidance for the Centre City overall. For example, the Beltline Area Redevelopment Plan is currently being reviewed and updated as a separate planning exercise. 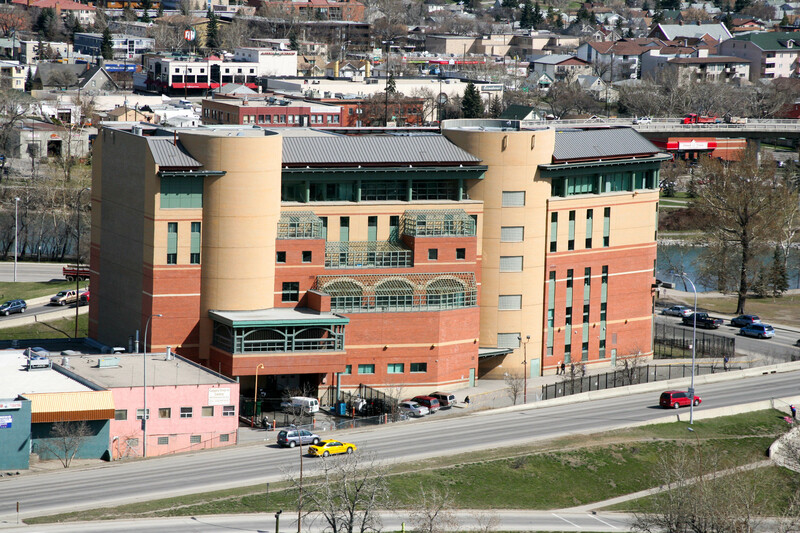 The Centre City Plan is aligned with the Municipal Development Plan and Calgary Transportation Plan and is the main document for planning and action within the Centre City. The Centre City Plan is a non-statutory (not based on law) policy document and does not overrule any other existing approved Area Redevelopment Plans, Policy Consolidations or Bylaws; however it is implemented through statutory and non-statutory plans, policies, bylaws, strategies and actions. The Centre City Plan provides a broad framework for the acknowledgement of more detailed area-specific or topic-specific plans and strategies. Calgary’s 2009 Municipal Development Plan (MDP) is our vision for how Calgary grows and develops over the next 30 to 60 years. The Calgary Transportation Plan (CTP) works together with the MDP to provide transportation options so all Calgarians are able to travel safely and conveniently. 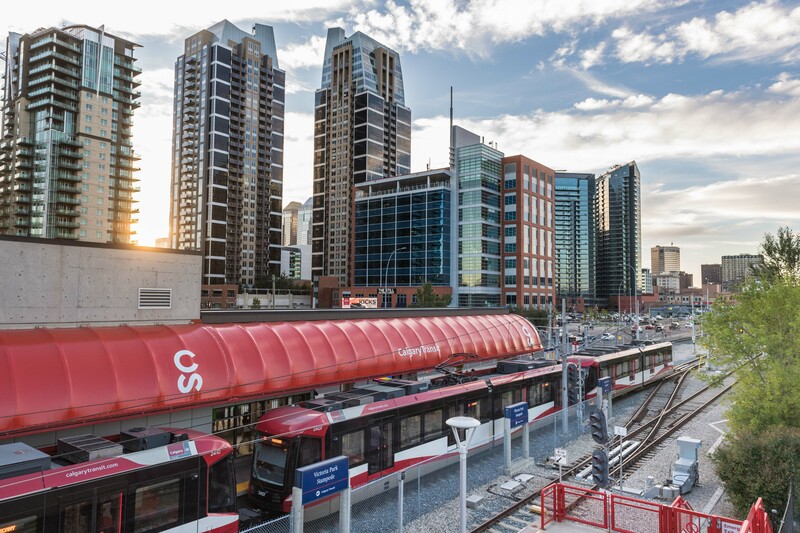 Calgary’s Centre City is an important economic generator and a convergent point for Calgarians who use a variety of modes to travel to and within this destination. The Centre City Plan is a comprehensive and strategic long term vision for the future of Calgary’s Centre City and the Centre City Mobility Plan defines and coordinates the role and function of the streets within the Centre City. The Centre City Urban Design Guidelines serve as a guide and inspiration for future development decisions in the Centre City area. The guidelines build and expand upon the 2007 Centre City Plan. Links to other Centre City documents can be found here. Submit your email address to receive project updates and opportunities to provide your input. Report back on previous engagement and further engagement to help inform policies. Meet with internal stakeholders to: review the input; refine the vision and principles; and Identify big moves or policy changes. Hold focus group meetings to refine ideas. Prepare a draft document, including actions, and ensure alignment with City policy and strategy. The project team will circulate the draft document for internal review. The project team will amend the draft document based on feedback and input from stakeholders. The proposed update to the Centre City Plan will be presented to the approving authorities. Following the Public Hearing there may be follow-up motions which may extend the project into 2020. Once approved, implementation of the Plan can begin.